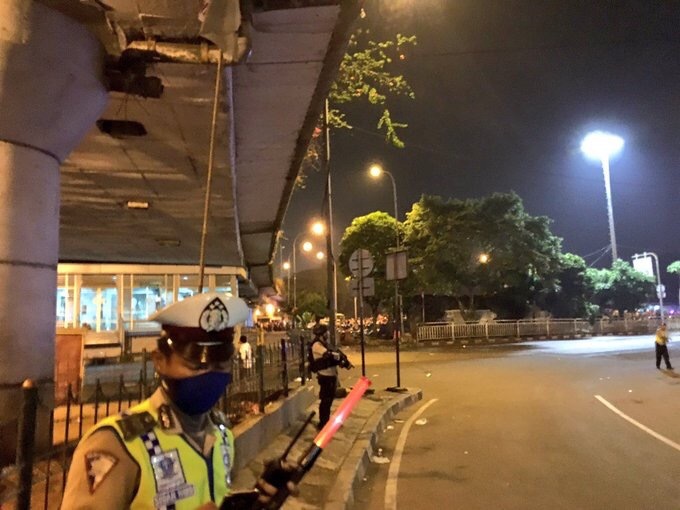 Jakarta (AFP) – Two blasts rocked a bus terminal in the Indonesian capital Jakarta on Wednesday and caused casualties, police said. 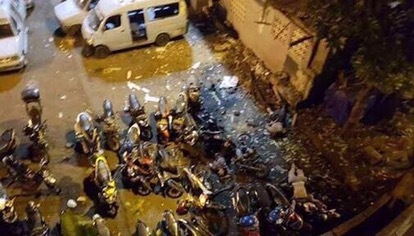 “There were two blasts at around 9:00 pm (1400 GMT), close to each other, there are three victims,” East Jakarta police chief Andry Wibowo told TV station MetroTV, without saying whether the victims had been killed or injured. “From the damage I can see the explosions were pretty big.” It was not immediately clear what caused the blasts at the Kampung Melayu terminal, which is served by minibuses and buses. An eyewitness, Sultan Muhammad Firdaus, told TV station Kompas TV he heard two explosions about 10 minutes apart. “The explosions were quite loud, I could hear them clearly,” he said. He added he thought two police officers were injured in the blast. Indonesia, the world’s most populous Muslim-majority country, has long struggled with Islamic militancy and hundreds of radicals from the Southeast Asian state have flocked to fight with IS, sparking fears that weakened extremist outfits could get a new lease of life. Indonesia has suffered a series of Islamic militant attacks in the past 15 years, including the 2002 Bali bombings that killed 202 people, mostly foreign tourists.